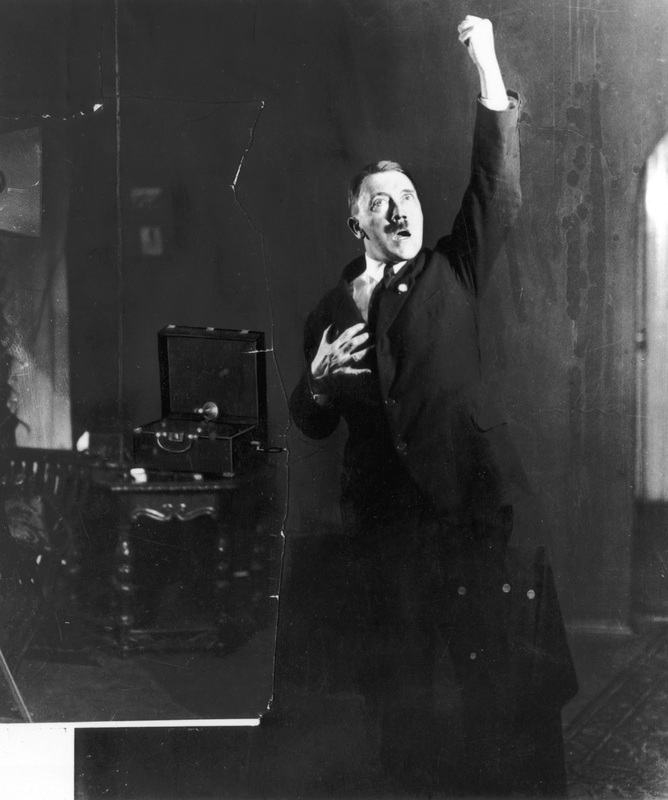 Hitler rehearsing his public speech in front of the mirror. 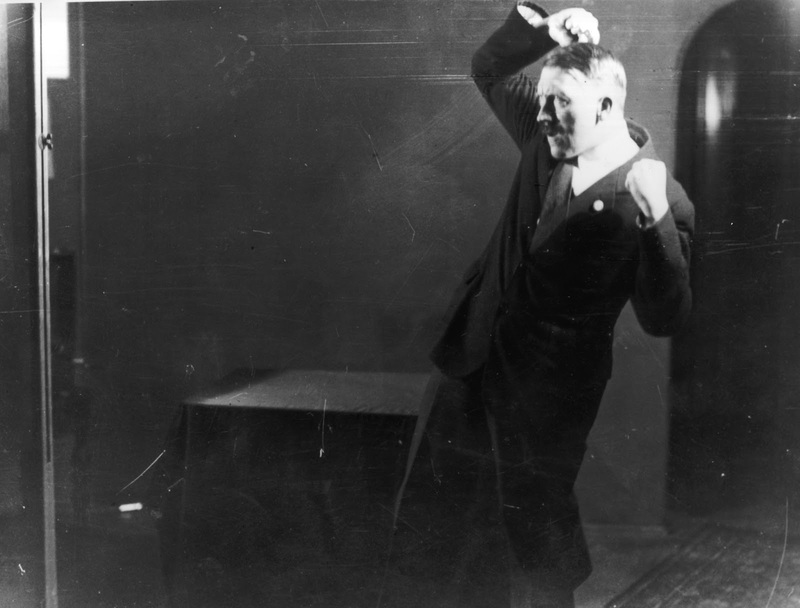 Adolf Hitler, leader of the Nazi Party, strikes a pose for photographer Heinrich Hoffmann whilst rehearsing and listening his recorded speech. 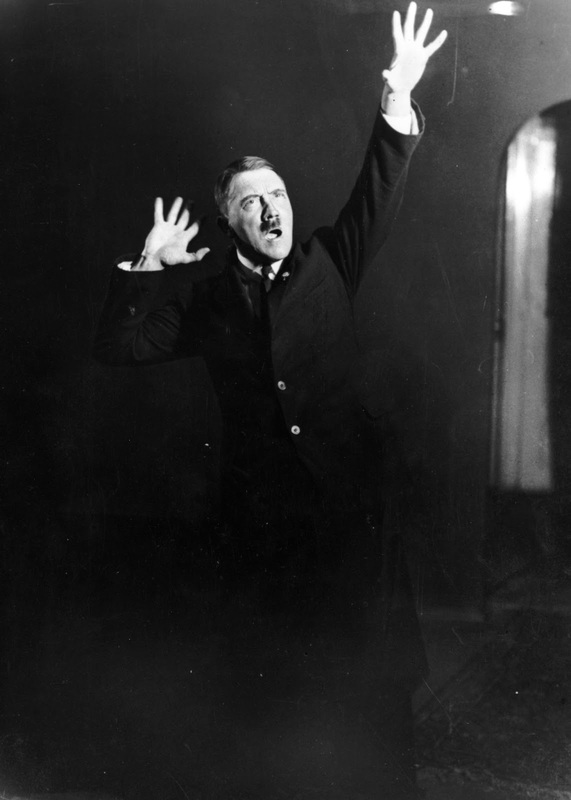 The album, features black and white images of the Nazi leader in a series of poses, using expressive face and hand gestures, which he would practice and review before addressing the German public. 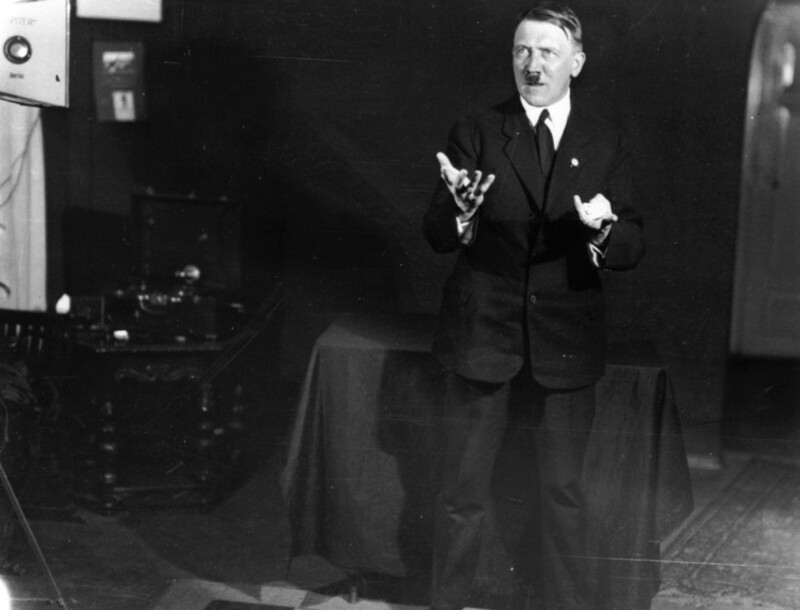 They capture the meticulous training Hitler undertook to perfect his famous speeches, and give a rare insight into his vanity and controlling personality. 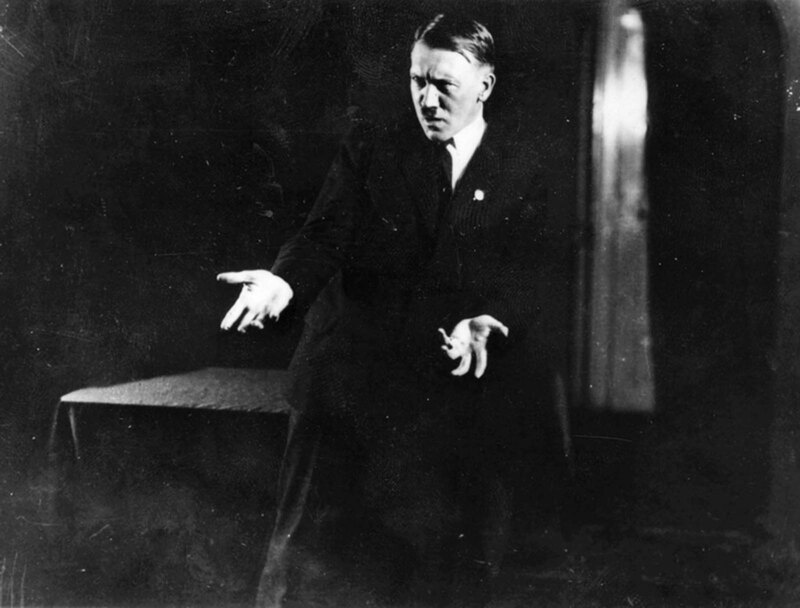 Once he saw the pictures, he would decide whether to incorporate the various gestures and poses into his speeches and appearances. 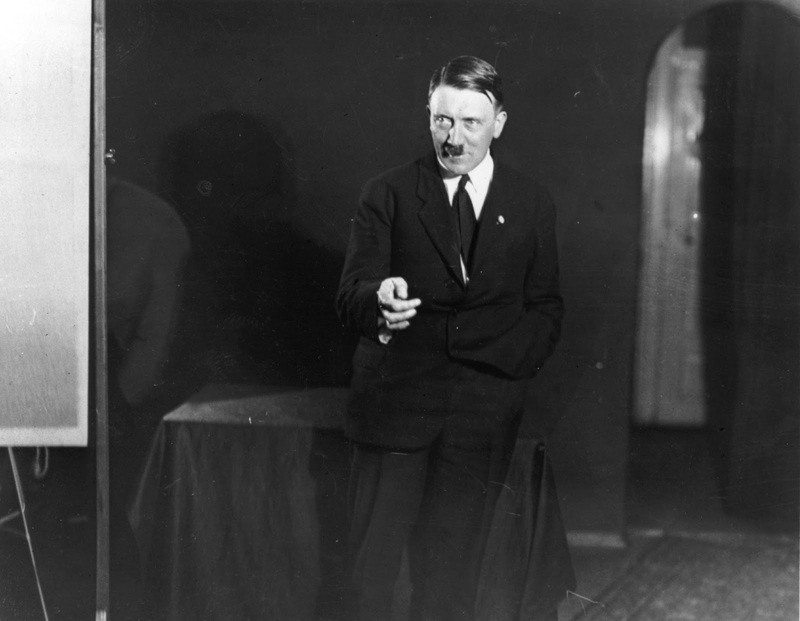 The photos were reportedly taken in 1925, soon after Hitler was released from a nine-month stint in prison during which he dictated his autobiography, Mein Kampf. 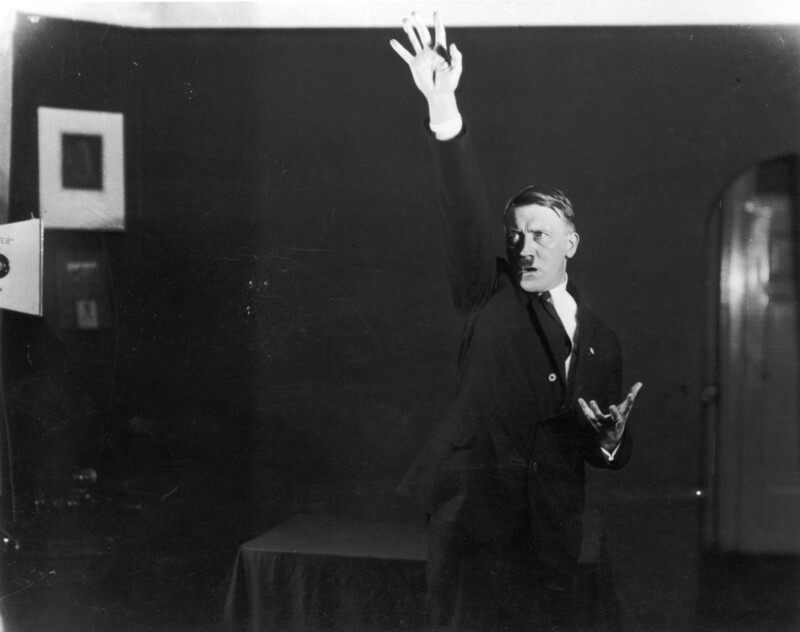 After seeing the photographs, Hitler requested Hoffmann to destroy the negatives, but he didn’t obey. They were published in his memoir, “Hitler was my friend”, which came out in 1955. Hoffmann, who introduced Hitler to his then-studio assistant Eva Braun, survived the war and spent four years in prison for Nazi profiteering. He died in 1957, aged 72. “It makes perfect sense that he would be doing this. 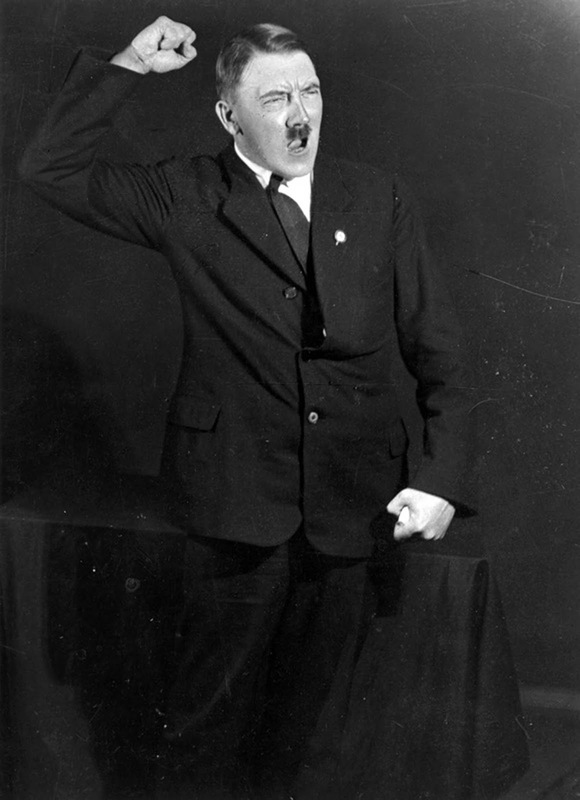 We have this image now of Hitler almost as a buffoon, but he had a lot of charisma and his speeches made people sincerely believe he would lead them back to greatness. He was an absolutely spellbinding public speaker and these pictures show that it was something he worked very hard on. When you listen to his speeches now, he sounds like a ranting, raving maniac, but we know that it came across in a very persuasive way. These pictures give an important insight into how he practiced. 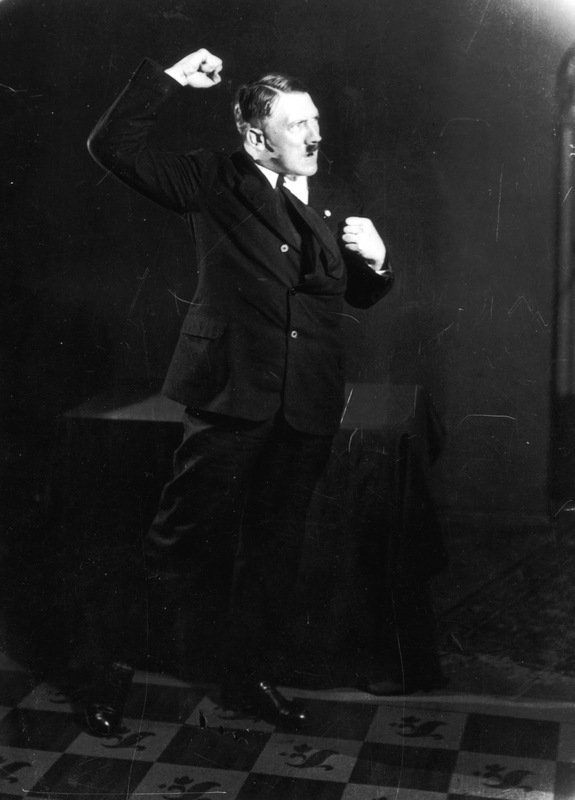 He was a showman and rehearsed his gestures to get a particular reaction from his audiences. Egon Hanfstaengl, the son of Hitler’s foreign press officer, said in a documentary, “Fatal attraction of Hitler”: “He had that ability which is needed to make people stop thinking critically and just emote”. 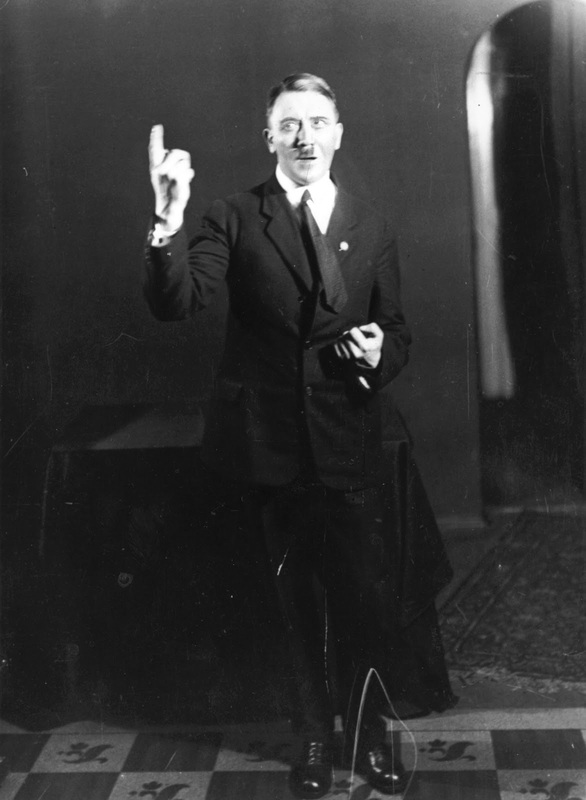 The photos, taken by his personal photographer Heinrich Hoffmann, were apparently intended to give the Führer an insight into how he looked to the German public. 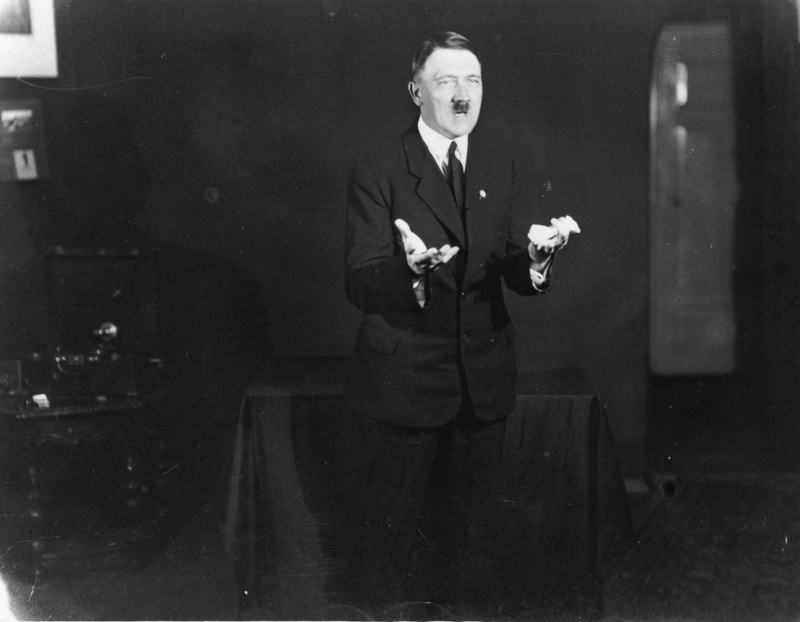 These photos aided Hitler’s self-analysis and improved his hold over an audience. The shots were taken shortly after his release from prison in 1925. 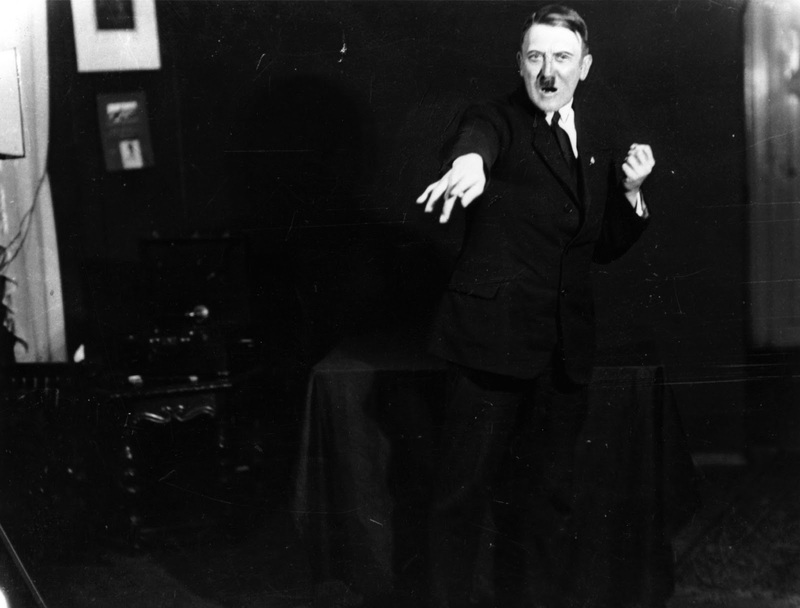 Adolf Hitler didn’t want anyone to see these photos so he ordered his photographer to destroy them. He used them to practice the most charismatic postures. The vetoed pictures were reportedly stored in Hoffmann’s studio until his arrest at the end of the war and disappeared into various archives. 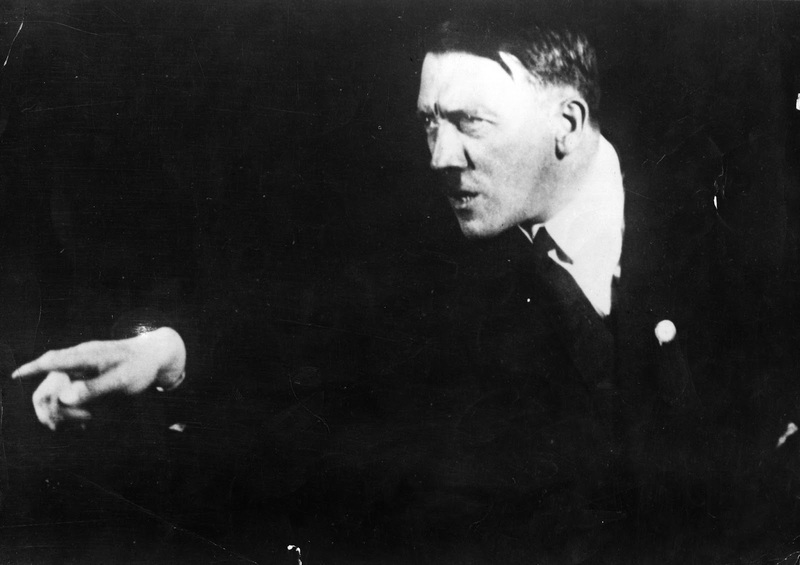 Hoffmann introduced Hitler to his then-studio assistant Eva Braun. Nazis didn’t wanted these photos to be published. 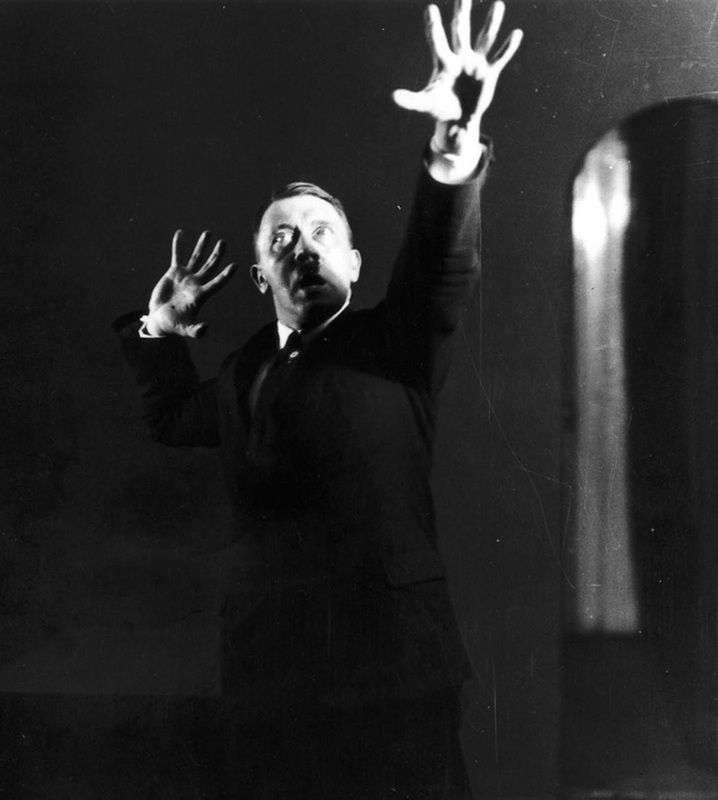 They were published photographer’s memoir “Hitler was my friend”, which came out in 1955. They offer a rare insight into his vanity and controlling personality. He was concerned about how he looked and his public persona. The Nazi leader banned them from being published for being “beneath one’s dignity”. They are a bit undignified and silly. No wonder the Fuhrer refused to let them be published during His lifetime. It is not uncommon for political leaders preachers and any public speaker to practice in front of a mirror.